Community philanthropy helps the Medical Center provide a broad range of specialty medical services and maintain high standards for patient safety. Today, we are asking the Community to come together around an important need – to help Cheshire Medical Center purchase a 128-slice, state-of-the-art CT scanner. Our 64-slice CT scanner is eight years old and nearing the end of its useful life. Staying on the leading-edge of medicine is challenging given our budget constraints. It means embracing new technology as well as replacing our older equipment when needed, and reaching out to YOU to help bring this life-saving technology to your nonprofit community hospital. Last year Cheshire Medical Center conducted over 12,000 CT scans. 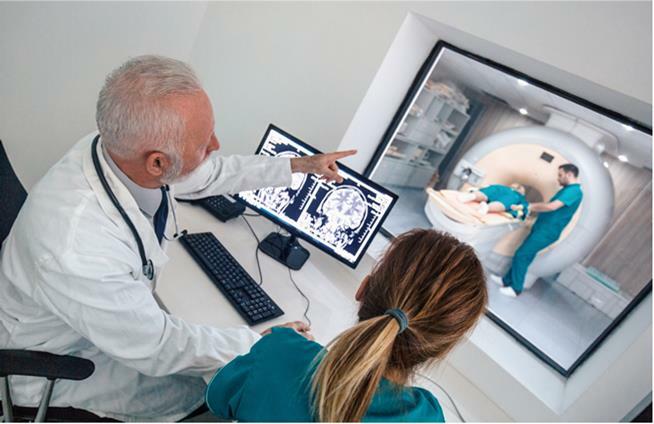 The scans detected and helped diagnose a variety of conditions such as stroke, cancer, cardiovascular disease and trauma from accidents–quickly, accurately, and painlessly. These scans happened 24 hours a day, 7 days a week. Your donation will support our commitment to providing you with exceptional care, close to home. Will you help us purchase a new CT scanner for our community? Your support moves us closer to our mission of providing clinical and service excellence, collaboration, and compassion for every patient, every time. Won’t you please show your support for this important initiative today? Cheshire Health Foundation is a nonprofit organization supporting Cheshire Medical Center. Your gift may be tax deductible to the extent allowed by law.